@larry @mkrause Thank You! I have three more bricks so we’ll try the, in two weeks! Cool and congrats, please post your cheese when when you're done. Upper 30’s last night for cheese smokin. Simple setup with a couple briquettes and a wood chunk for about 4 hours. Ice bottle for insurance. Wrapped in plastic and into the fridge for a week. Cheese looks amazing. I've wanted to try this for some time now and have no idea why I haven't. When you say the food saver 2000, do you mean you are vacuum sealing them after you smoke then and letting them rest. How long do you smoke them and do different cheeses smoke for different times or are they all the same time. 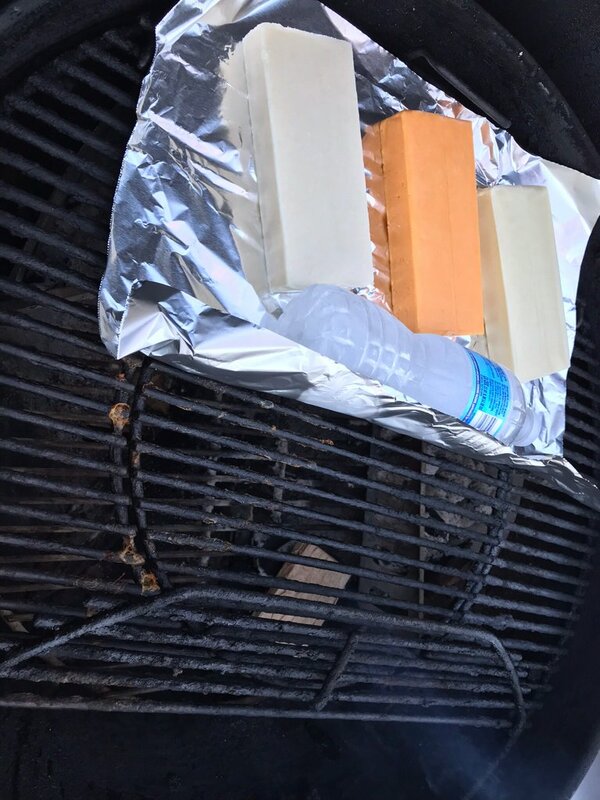 @WMT, using the A-Maze-N tube and my WSM, I smoke the cheese for 2 hours 15 minutes. I then remove the oil from the cheese with a paper towel and yes, I vacuum seal each individual block of cheese. I also label and date each block. I smoke all different types of cheese all together, all the same 2 hrs 15 min. I have smoked cheddar, swiss, colby, muenster, pepper jack, havarti, manchego and montAmore (see beginning of the thread). I think the key is wrapping them or vacuum sealing them and refrigerating them for at least 2 weeks. They all come out grate! This past Saturday my wife made a broccoli vegetable dish and she shredded a block of smoked sharp cheddar, it was delicious. Eat it plain, put it on burgers, vegetables, in omelets, or whatever else you can think of. The smoke just adds another layer of flavor. Thanks Larry, now I just have do some experimenting on temperatures in my kettle. Probably not the best time around here to try and cold smoke cheese being that it is below the freezing mark but if I can use figure out how many birquettes to use to get the temperature just above the freezing mark in the kettle, it should work. I am wondering if using birquettes would add a flavor that is not desirable in cheese. I’ve never used briquettes & wood chips/pellets. I’ve only used the smoking tube. But if you’re going to, make sure the smoker/Kettle stays around 50 to 60 or below. The max temperature would be ~ 80. 80 & above the cheese will melt. If you need to go longer than 2 hrs 15min, ( 3 - 4hrs), do it. Check your cheese it should be turning a slightly darker color. You also don’t want the cheese to freeze. Good luck, post pics and let us know how it turned out! Planning on doing some cheese this weekend with the smoker tube in the wsm... can it be too cold to smoke cheese? Might not get above 10* F this Saturday. 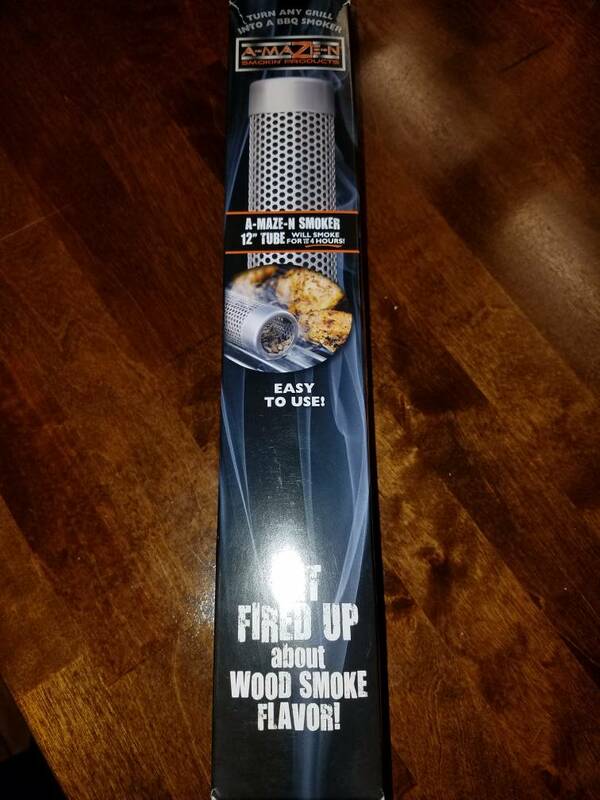 I'm not sure the exact answer to your question but I prefer to smoke when the grill will end up around 70. The cheese starts to soften up but isn't melting. I think the softer the cheese is the more it will absorb, but I could be totally wrong about that. ^What he said^ Give it time to absorb the smoke. Otherwise, all yer gonna taste on that first bite is smoke.